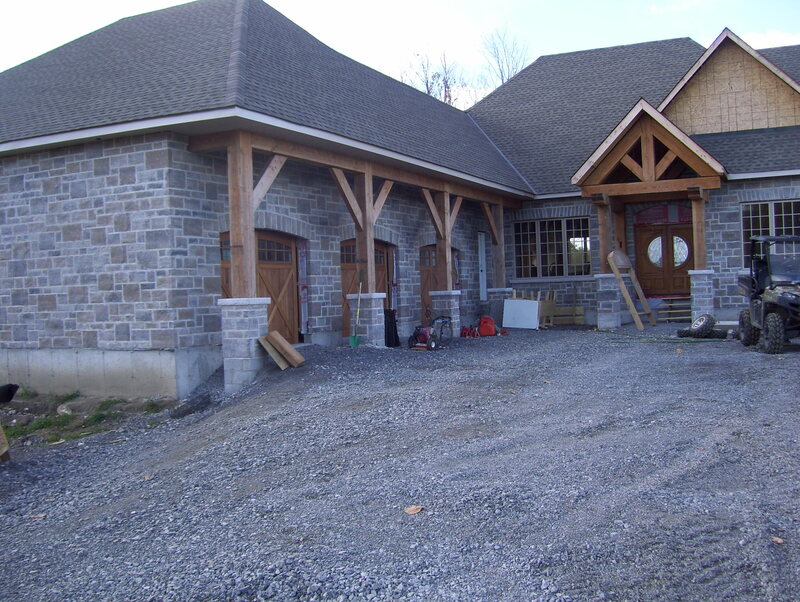 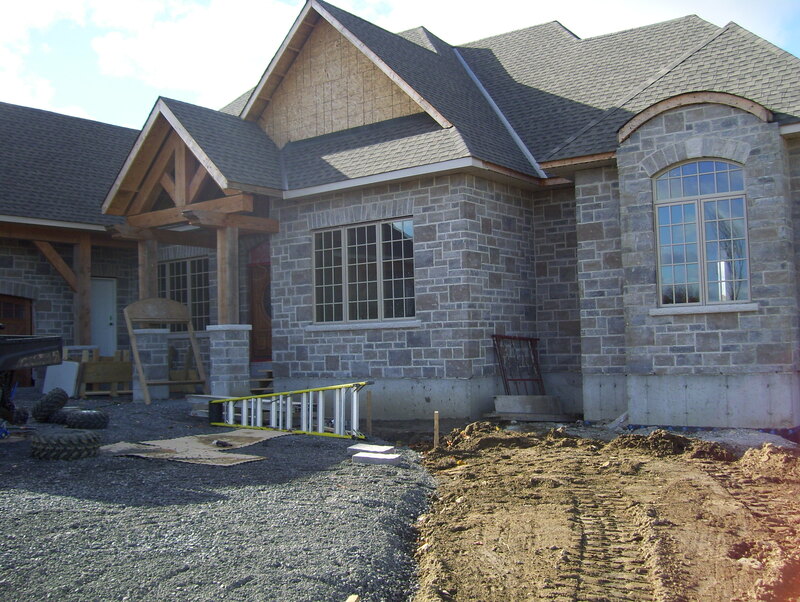 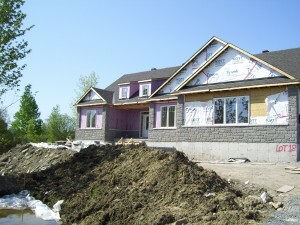 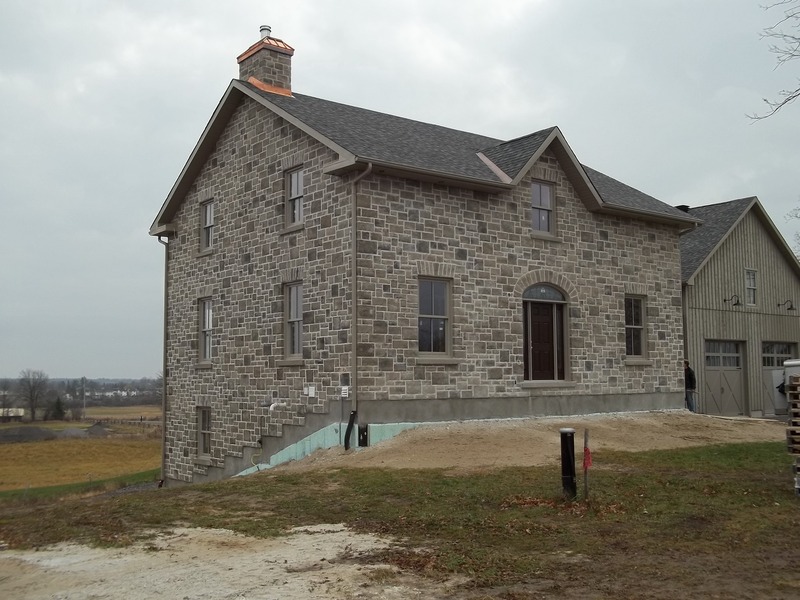 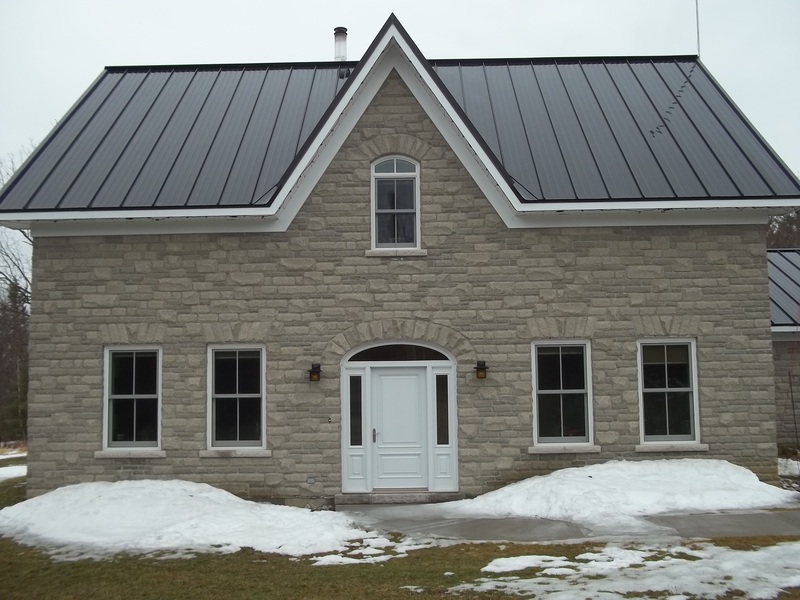 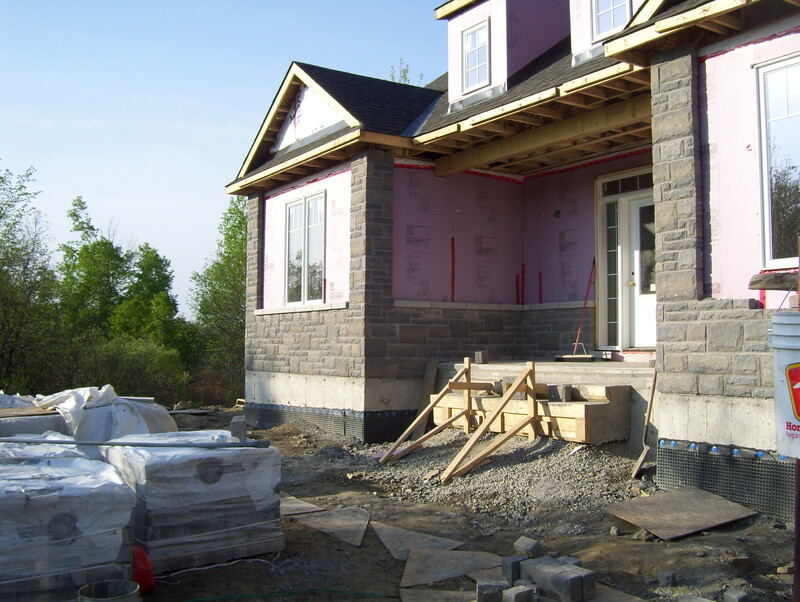 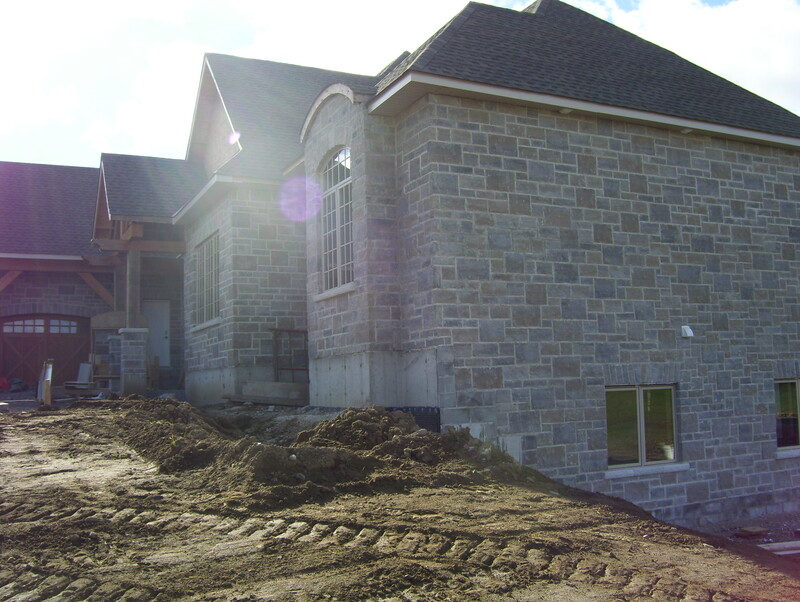 Manufactured stone comes in a wide variety of styles, and colours from various manufacturers. 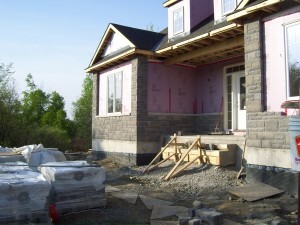 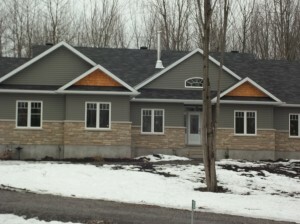 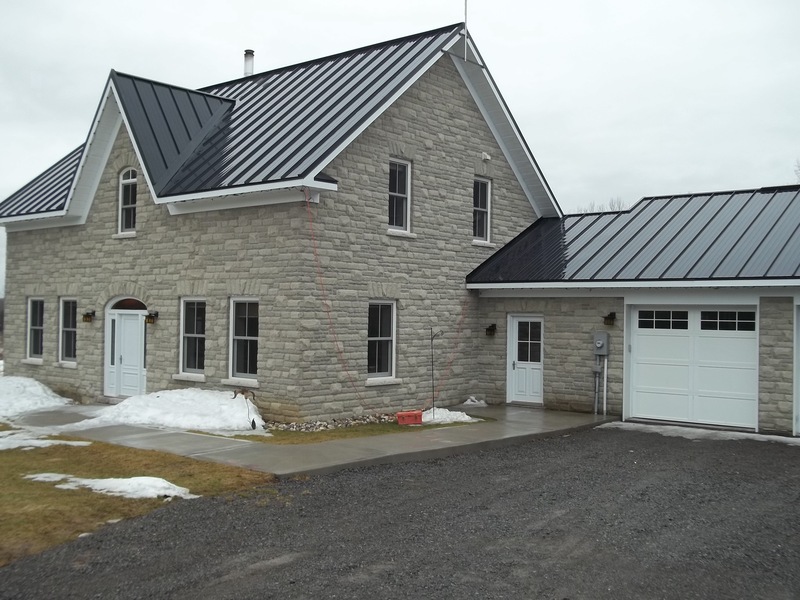 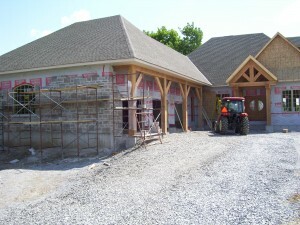 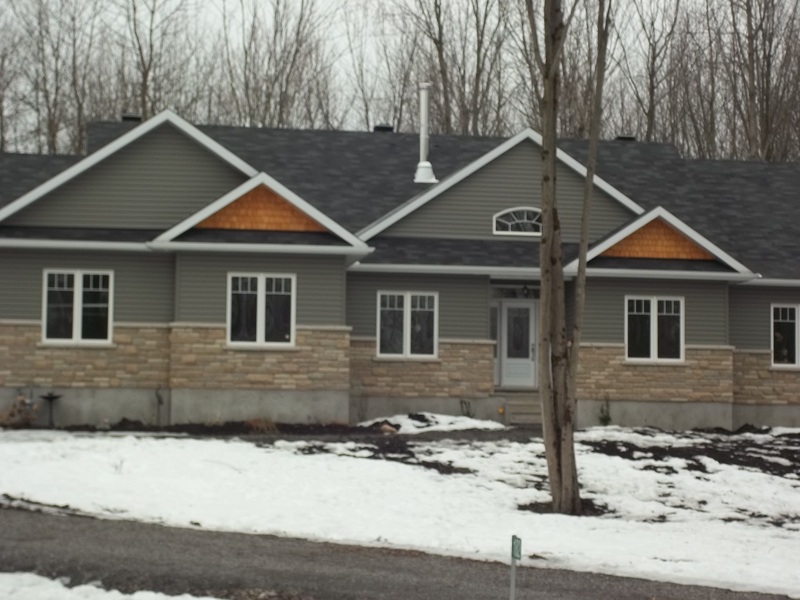 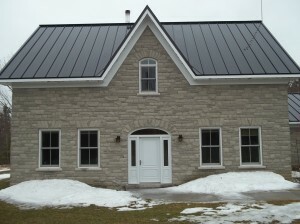 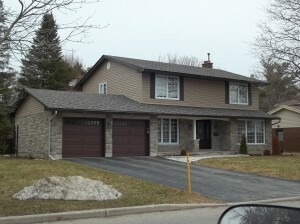 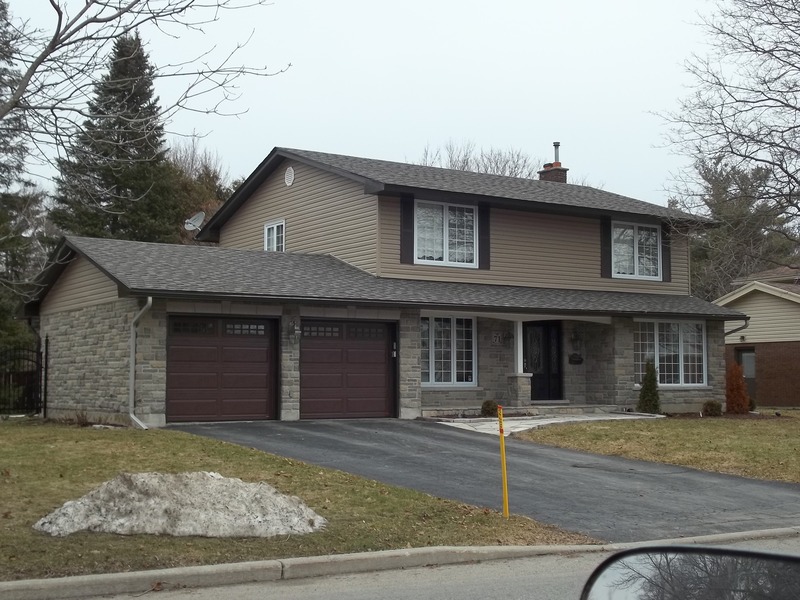 Made to look almost identical to natural stone masonry it is a cost effective way to add some permanence to your home. 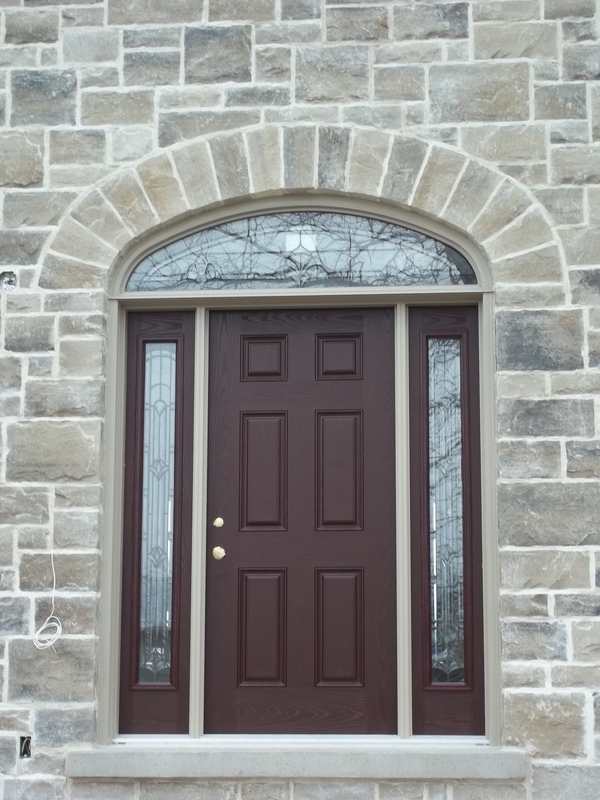 Add some classic details to make the product look centuries old or choose a more modern style for a cleaner more contemporary look. 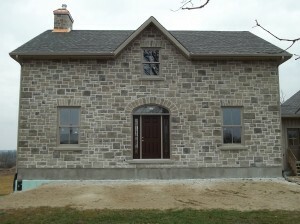 A reproduction of an Ontario Cottage. 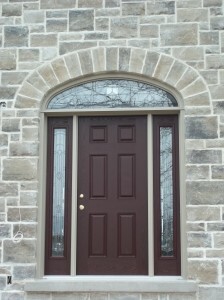 Elliptical arch over the front door and jack arches over the windows. Almonte Ont. Thanks for not calling it ‘lick and stick’. 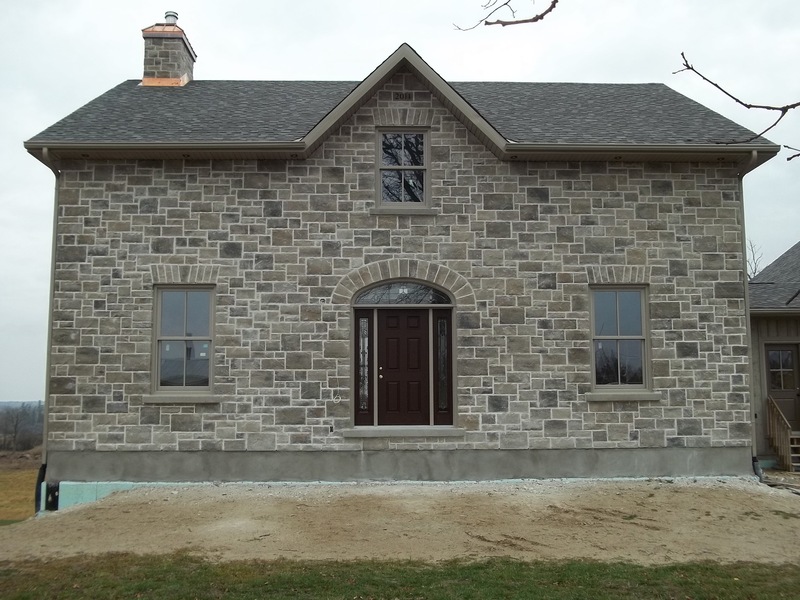 Thanks Matt, however, while the stone in this section is manufactured, it isn’t “lick & stick” All these stones are 4″ thick and sit on a “brick” ledge. 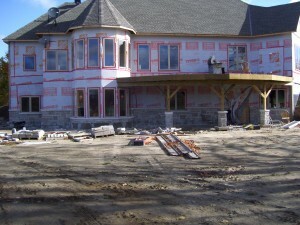 I do have a thin veneer section as well.